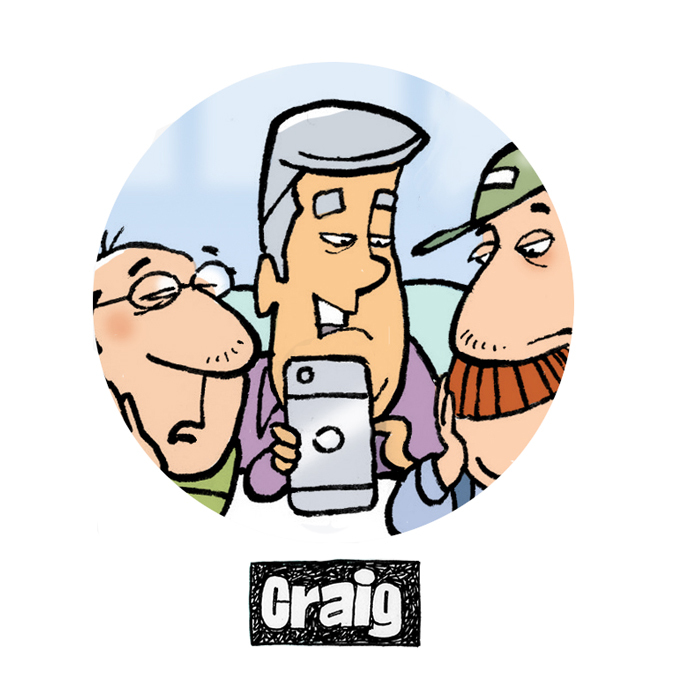 Craig is good-looking, in a “network news anchor” sort-of-way. He’s also a great golfer and still has a full head of hair. Ordinarily you’d hate a guy like that, but the other guys really enjoy hanging out with him. Mostly because he’s the only single guy in the group (since his divorce 2 years ago) and the stories of his dating adventures (and misadventures) are alternately hilarious and legendary. Like the time he dated the Queen of the Coney Island Mermaid Parade who, ironically, had a shellfish allergy. Craig is a History professor at a local college (don’t get him started about Early Etruscan Civilization. No, really… just don’t) and coach of the Men’s golf team. He recently joined yet another online dating site.